Prime Management offers a world-class cadre of instructors, facilitators, and consultants who are recognized for their contributions to the fields of project management, leadership development, and knowledge management. Our instructors include university professors, award-winning authors, professional mediators, MBA curriculum developers, and university policy-makers. 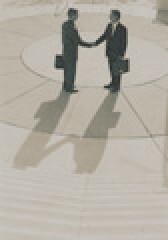 Our consultants have performed decades of innovative research in the study of organizational behavior and leadership development; conducted many classes, seminars, and workshops around the world; mentored MBA and Ph.D. students at prestigious universities across the nation; and provided consulting to private sector corporations, government agencies, and not-for-profit organizations. 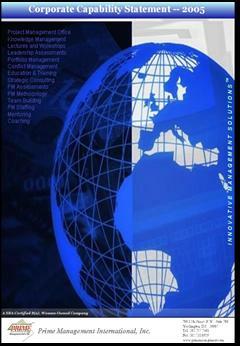 Prime Management will partner with your organization to improve your organization's performance. Our broad scope of products and services give us the leading edge in helping individuals, teams, and organizations achieve their performance goals. Additionally, these services can be customized to suit your business needs. Prime Management provides a proven array of comprehensive management solutions that are designed to unlock the full potential within your organization. Today’s fast-paced and chaotic work environment demands rapid action and increasingly efficient project management. We help you focus on your core competencies and rapidly expand your operations by applying our project management expertise to managing your projects. Outsourcing the project management, business process development, and support components of your organization to Prime Management will help you lower costs, reduce risk, improve quality, and exceed customer expectations. 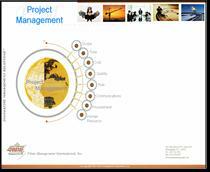 Prime Management provides training in project management and leadership development. We provide the essential skill-building training programs, resources, and tools to foster enterprise-wide results. Prime Management mentors are available to help managers and project teams translate concepts learned in the classroom into real practice. Our project management and leadership development mentors are committed to helping managers and executives evolve into better leaders, and they offer supportive and comprehensive assistance that yield remarkable, long-term results. To help you manage in turbulent times, Prime Management will enhance your leadership skills through assessments, workshops, coaching, and interventions. Raise your leadership effectiveness to the next level of performance as you learn important leadership skills such as negotiation, teambuilding, coaching, and conflict management. Prime Management will help you capture your collective intellectual capital, leverage your collaborative technology, and establish incentives and rewards for participation in sharing knowledge, experiences, research, and ideas. Copyright© 2018 Prime Management International, Inc.
Click here to view our Corporate Capability Statement (.pdf file). 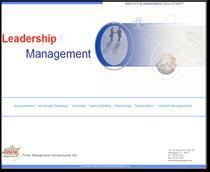 Click here to view our Management & Leadership Brochure (.pdf file). 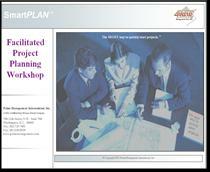 Click here to view our Project Planning Workshop Brochure (.pdf file).